BOYLE HEIGHTS, Calif. -- A family that claims a woman was frozen to death in a hospital morgue after she was prematurely declared dead can proceed with a medical malpractice lawsuit, an appeals court ruled Wednesday. "This is one of the most egregious cases you'll ever see," family attorney Scott Schutzman told CBS Los Angeles. "This case keeps me awake at night." The California 2nd District Court of Appeal overturned a lower court ruling that the lawsuit against White Memorial Hospital was filed too late. 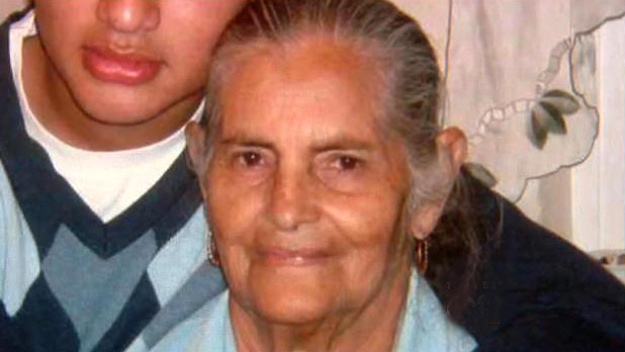 Maria de Jesus Arroyo, 80, was declared dead in July 2010 after suffering a heart attack and was placed in a freezer at the Boyle Heights hospital. Morticians who received her body a few days later discovered that it was face down and the woman had a broken nose and disfiguring cuts and bruises to her face, according to court papers. Arroyo's husband and eight children filed a lawsuit that claimed her body was mishandled. However, as the case was being heard in December 2011, a pathologist concluded the woman was "alive in the hospital's freezer, eventually woke up due to extreme cold," and caused the injuries herself during a failed struggle to escape her "frozen tomb," according to court records. "The mortuary found Maria de Jesus Arroyo upside down in the body bag, which told the expert that she was fighting her way out," Schutzman said. It was determined Arroyo hadn't actually died from a heart attack, but from asphyxiation and hypothermia. The family withdrew the lawsuit and in May 2012 filed a medical-malpractice lawsuit. A judge in LA County Superior Court threw out the lawsuit, ruling that it was filed past the one-year statute of limitations. However, the appellate court said the family had "absolutely no reason" to suspect that the woman was alive until the pathologist gave his expert opinion. The case now returns to the lower court for further proceedings. A call seeking comment from a hospital representative on Wednesday was not immediately returned.